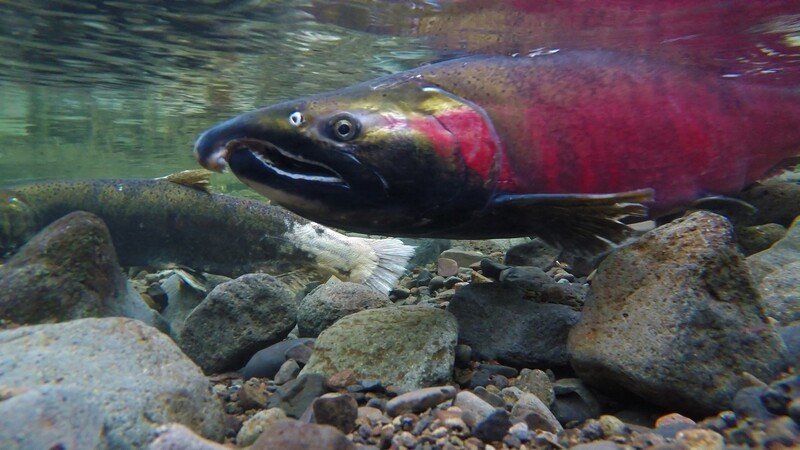 The U.S. Supreme Court justices listened to oral arguments last month in a case that may well determine the fate of wild Pacific Northwest salmon. As the hearing before the justices approached, I joined with other local leaders to urge the High Court to come down on the side of Northwest tribes in their legal fight against the state of Washington. I believe we have a moral obligation to the region's original residents, and to those of us who occupy their ancestral lands, to restore what has been lost and leave a legacy of healthy salmon runs for all who come after us. Here's the back story: In United States of America v. State of Washington, the 9th U.S. Circuit Court of Appeals sided with the federal government and 21 tribes, ruling that the culverts and pipes that impede fish passage must be replaced. Unbelievably, the state had argued that it would not violate tribal treaties to block every salmon-bearing stream in Puget Sound. Following the Appeals Court's ruling, the state petitioned the U.S. Supreme Court for review, concerned about legal precedent and, understandably, the cost of upgrading hundreds of culverts. But it's not just the state that faces this responsibility and challenge. County roads and trails have culverts, and many of those culverts impair fish passage. Naturally, local governments like King County, where I am the county executive, are concerned about cost, too. Loss of salmon habitat is not a technical legal problem. It's a real world problem. Our job in government is to fix problems. To square up to responsibility, not shirk it. Even if the state were to win an absolute victory in court over the tribes and the federal government, our obligation would be no less. We can't simply stand by and watch as wild salmon dwindle into extinction. We know how to design better waterways, and remove human-made barriers to the salmon's journey. We can determine what resources are needed, marshal our assets, and get it done. We can make a difference to the future of these iconic species that mean so much to our economy, our culture and our way of life. Problems are rarely intractable when we work with partners, as we have demonstrated through nearly two decades of salmon recovery in King County watersheds. The notion that the government would be liable to fix everything, immediately, no matter what the practicality or obstacles, ignores the strong connections between tribes, environmental scientists, activists and local government, all of whom are focused on common sense solutions. We have done this in the past, to dramatic effect. At Ebright Creek in Sammamish, a private landowner replaced an undersized culvert that had blocked fish for decades. Access to the best remaining spawning habitat in the watershed was restored, and the struggling kokanee salmon came home. A public-private-tribal partnership is doing the same thing on nearby Zackuse Creek this summer. The Pacific Northwest is a place of water. From our snowcapped mountains, glacier melt and runoff form streams and rivers that fan out across the plains. These lowland waterways are now crisscrossed by roads and bridges. That is the result of population growth and what our society recognizes as prosperity. A Pacific Northwest of dead rivers and empty bays would be a sad testament to our collective selfishness and shortsightedness. For Northwest Tribes, the salmon are much more than a source of food or income; they are foundational to identity and way of life. For all that they relinquished to the U.S. government, tribal leaders reserved for their people "the right of taking fish, at all usual and accustomed grounds and stations." Today, it is clear that the ability to harvest salmon is inextricably linked to the health of the habitat in our watersheds. Even for relative newcomers to this region, the return of salmon to streams and rivers each fall is fundamental to what we treasure about this place. I believe partnerships are better at solving problems than litigation. Nonetheless, I filed a friend-of-the-court brief with the U.S. Supreme Court on the side of the tribes because state and local governments should strengthen — not retreat from — decades of collaborative work to restore habitat and ensure the survival of Puget Sound salmon. 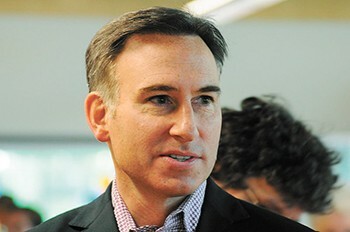 Dow Constantine is King County Executive. This column first appeared on Crosscut.com. The original print version of this article was headlined "A Statewide Challenge"